*This workshop is held in English! In this workshop, Buddhist priest (instructor) Rev. Shojun Ogi, will introduce participants to the history and the basic teachings of Buddhism by inviting them to the Kongoin temple (金剛院) to enjoy Buddhism chanting the Sutra, explore the way of thinking Wisdom (智慧), Dependent Co-Arising (縁起), Action (カルマ) and Everything is Changing (諸行無常). This workshop is not a preaching, open to any religious personals. The lecture from Rev. Shojun Ogi includes many hints from the teachings of Buddha that is deeply connected to our daily life, in other words, the wisdom for everyday life. Let’s feel and experience the enlightenment world of Buddha and make your life more sophisticated and comfortable! 「仏教」から連想するものと言えば、仏陀？八正道？諸行無常？それともインドでしょうか？難しい仏教用語にアレルギーを感じている皆さん！いっそのこと仏教を「英語」に置き換えて学んでみませんか？例えば、仏教でいう「智慧」はWisdomですが、見識、分別、英知という文字通りの意味のほかに、仏教では「ありのままに見せてくれる」という意味も含んでいます。”Wisdom helps us to “see things as they really are” and NOT “how we wish to see them”!! 1) You will get to know the brief history of Buddhism. 2) You can learn the general overview of Buddhist teaching. 3) You can actually talk with Japanese Buddhist priest. In this workshop, participants will have the chance to learn some clues of the way of life and get a brief glimpse of Japanese lifestyle why we Japanese help each other, work together and respect others! Participants will also be introduced to the spiritual roots of Japanese lifestyle that has strong relations with the teaching of Buddha. For example, meals in Japan traditionally begin with the phrase "Itadakimasu". It is said to express gratitude for all who had part in preparing the meal, cultivating, ranching or hunting edible food of plants and animals. This originates in the consideration that living organisms are giving their life to human beings as Dāna (give), which is one of the Buddhistic terms. Upon finishing the meal, Japanese people also use the polite phrase Gochisosama-deshita (literally; Thank you for good meal- it was) is also based on the religious belief where “chisō” means running with efforts (by riding a horse, thereby indicating expedience) to cater foods for the guest. Appreciation and respects for others and even food are deeply ingrained in the minds of many Japanese as firm habits. 1) Understand brief history of Japanese Buddhism. 2) Learn today’s Japanese Buddhist temple life. 3) Talk to Japanese Buddhist priest. 龍谷大学卒業 B.A. : Ryukoku University. 米国仏教大学院修士課程修了 M.A. : Graduate Theological Union / Institute of Buddhist Studies. Born in 1982. He is a vice abbot of Choshoji Temple in Yamaguchi, Japan. 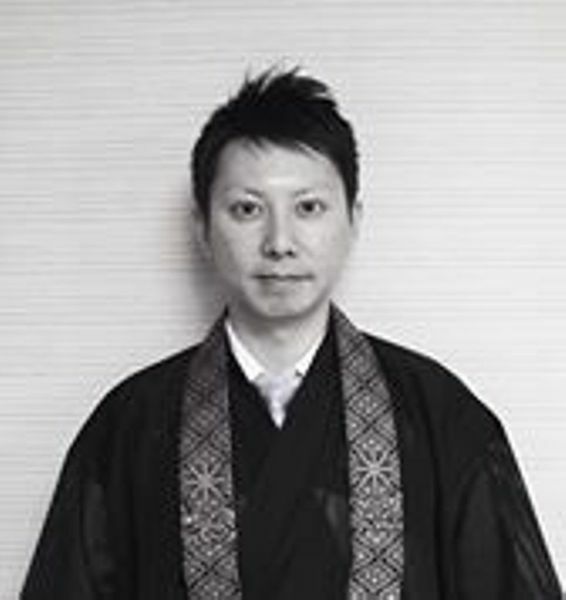 He graduated from Ryukoku University and the Graduate Theological Union/Institute of Buddhist Studies. He completed a 2010-2011 residential fellow program at Harvard Divinity School. He has given many lectures on Buddhism at universities and seminars. In addition, he has written and translated many articles as translator and journalist for various publications both in English and Japanese, including Samgha Vol. 17, Turning Wheel, The Pure Land, Inter Press Service, Majirox News, Prapañca, Journal of the Institute of Buddhist Culture in Musashino University, and the Journal of Kurashiki Sakuyo University, etc. Assemble at the entrance at 金剛院 (Kongoin) at 1:30pm, the workshop will start at 2:00pm. * Pay at the door, included rental space fee and instructor fee.